Patna, April 16: Punjab Cabinet Minister and Congress leader Navjot Singh Sidhu urged Muslims to vote unitedly to ensure the defeat of Prime Minister Narendra Modi. 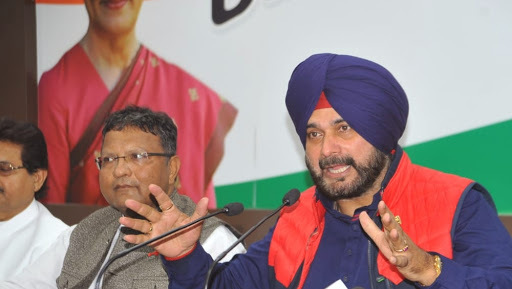 Addressing a public meeting in Bihar's Katihar Lok Sabha constituency ahead of polls, Navjot Singh Sidhu appealed Muslim voters to prevent the division of their votes and back the Congress. "I am here to warn you. They (BJP) want division of your votes. They bring people like Owaisi sahab or a near party to divide your (Muslim) votes. Your region is one where you (Muslims) are a majority and not a minority. Your population is 64 percent here. If you get united and vote, Modi will be defeated," said Sidhu. ECI Ban on Yogi Adityanath, Mayawati: Supreme Court Satisfied With Election Commission's Action. "This will be a sixer. Hit such a sixer that Modi is sent out of the boundary," Sidhu added. The cricketer-turned-politician's direct appeal to Muslims irked the BJP which said it will approach the Election Commission. PM Narendra Modi Installed Cameras in Polling Booths, Will Know Who Votes For Congress, Threatens Gujarat BJP MLA. Recently, the Bahujan Samaj Party (BSP) chief Mayawati made similar remarks. Addressing a rally in Saharanpur, Mayawati urged the Muslim community to vote only for the SP-BSP-RLD alliance candidates in the Lok Sabha election in Uttar Pradesh. Taking note for her communal appeal, the Election Commission on Monday barred her from campaigning in the Lok Sabha elections for 48 hours.